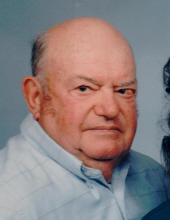 Owen Henry Knicely, 93, of Dayton, passed away Monday, January 28, 2019 at Dutch Haven Assisted Living in Maurertown. He was born in Dayton on July 11, 1925, and was a son of the late Jacob and Edna (Weese) Knicely. Owen was a carpenter and had worked at Contractors Transport, and Hess and Miller Realty. He served his country in the U.S. Navy. He was united in marriage in 1958 to Peggy Anne (Tumer) Knicely, who preceded him in death on July 1, 2014. He is survived by a daughter, Lisa Casto and husband Rodney, of Harrisonburg and a son, Randy Knicely, of Manassas; a sister, Geraldine Ahalt and husband Sonny, of Warrenton, and a brother, Orville Knicely and wife Edna, of Vienna. He is also survived by nine grandchildren, Katie, Keith, Jacob, Adam, Bridgett, Brittany, Chris, Kristen, and Dylan, eight great-grandchildren and numerous nieces and nephews. He was preceded in death by two sons, Mark Knicely and Allan Knicely. A funeral service will be held 10:00 AM on Saturday, February 2, 2019 at Johnson Funeral Service in Bridgewater with David Kite officiating. Burial will follow at Ottobine Church Cemetery with military honors by the Dayton American Legion Post #27. To send flowers or a remembrance gift to the family of Owen Henry Knicely, please visit our Tribute Store. Chaplain David Kite officiating. Burial to follow service. "Email Address" would like to share the life celebration of Owen Henry Knicely. Click on the "link" to go to share a favorite memory or leave a condolence message for the family.